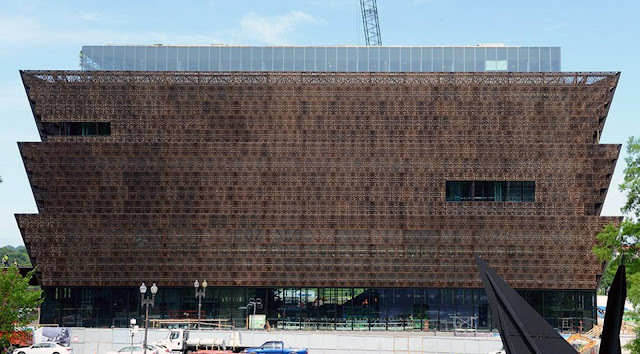 A section of the National Museum of African American History and Culture was temporarily shut down on Wednesday after a noose was found on the floor of the exhibition, the Smithsonian said. U.S. Park Police arrived on the scene after the noose was discovered and removed it, according to Smithsonian Magazine. The exhibition was reopened within three hours. "The noose has long represented a deplorable act of cowardice and depravity — a symbol of extreme violence for African Americans," museum director Lonnie Bunch wrote in an email to staff. "Today's incident is a painful reminder of the challenges that African Americans continue to face." The incident marked the second time within the past week that a noose had been discovered on Smithsonian property. Another one was found on Friday hanging on a tree outside the Hirshhorn Museum and Sculpture Garden just across the National Mall from the African American History Museum. The latest noose was found on the floor of the section of the museum dedicated to segregation. “The Smithsonian family stands together in condemning this act of hatred and intolerance, especially repugnant in a museum that affirms and celebrates the American values of inclusion and diversity,” Smithsonian Institution Secretary David Skorton said in email to Smithsonian employees.